Perhaps you have wondered what companies want to see on resumes. Maybe you have been unsure about what format to follow or what material to include. There are endless approaches to resume formatting, although there is not really one specific resume format that is preferable over all others. However, there are several rules to follow. In this review, professional recruiters share a few do’s and don’ts for resumes. DO create a cover letter. Professional recruiters recommend always including a cover letter with resumes. Cover letters typically include your name and contact information. Additionally, a cover letter should address why you are interested in the position you are applying for and why you think you would be a good fit. You can also go into detail about your applicable work experience and skills. Indicate that you have attached your resume to provide further information. Finally, sign your name at the bottom. Maybe you have wondered if businesses even look at your references, let alone call them. Professional recruiters say that a lot of companies do check your references. They like to speak to one or two of your previous employers to get an idea of what kind of employee you were while you worked there. Therefore, make sure you don’t skip the references. DO make your resume simple for professional recruiters and employers to read. Whatever layout or format you choose, be sure that it is simple to read. Do not use a creative font or decorative elements. Rather, try to lay it out in such a way that someone can easily scan it and take note of important information. Do not try to impress people by using extremely complicated words, but do not use informal language either. Your resume should be professional without being over-done. DON’T include every job you have ever had. Perhaps you have always listed out every single job you’ve ever had. Professional recruiters say this isn’t what businesses are looking for. For most of us, our first few jobs were at fast food joints or retail stores. Listing jobs that you had a long time ago that are completely unrelated to the job you are applying for does not necessarily add any value to your resume. If anything, including too much information could be a drawback. A good rule to follow is to list recent jobs as well as jobs that are related to the one you are applying for. DO draw attention to your related skills and knowledge. 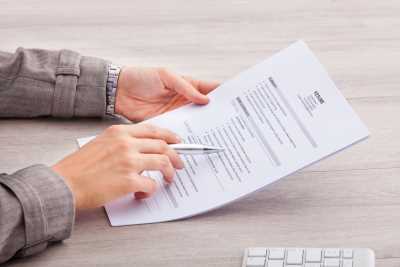 One of the most important things a resume does is show professional recruiters or potential employers that you are skilled for the position at hand. Whether in your cover letter or resume (or both), be sure to highlight special skills, knowledge, and experience you have that qualifies you for the position. DON’T forget to provide your phone number and email address. This goes without being said, but do not forget to include your full name, phone number, address, and email address. You want businesses to have no shortage of ways to contact you if they are potentially interested in hiring you. These are just a few resume guidelines to keep in mind the next time you’re looking for opportunities. The Lawler Group partners with growing companies all over the nation in order to find and hire qualified, experienced employees. We have been recruiting executive, management, and professional candidates for over 40 years. We also assist individuals in finding jobs that match their skill sets and experience.